We can design and print envelopes of many sizes and formats (Regular, Window, Duel Windowed, and Tyvek Security) in Black and White or Color. Please Contact Us with any questions or submit an Estimate Request with the specifications for your job. 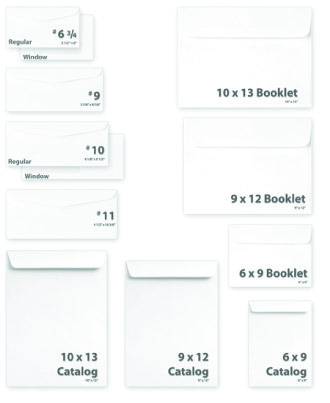 Example of some sizes for envelopes are shown here.